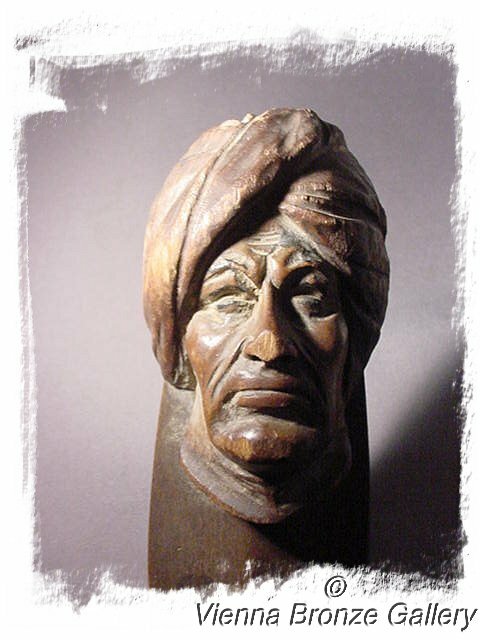 with a carved head of an Arab man. A great collectible for our Orientalist enthusiasts. Don’t forget that this fine desktop item can be used. The piece may have hung on a wall. On the back is a small hole for a nail and a second smaller one. Visit our collection of Orientalist items, mostly Vienna Bronzes by clicking on ARABS & ORIENTALISM. Good. No repairs, no damages, some scratches. Please do not forget that you are buying a used item that always may show some traces of wear! See photos which are part of the description.